I ran this race in 2014 and came away with a pretty good result (39.57). 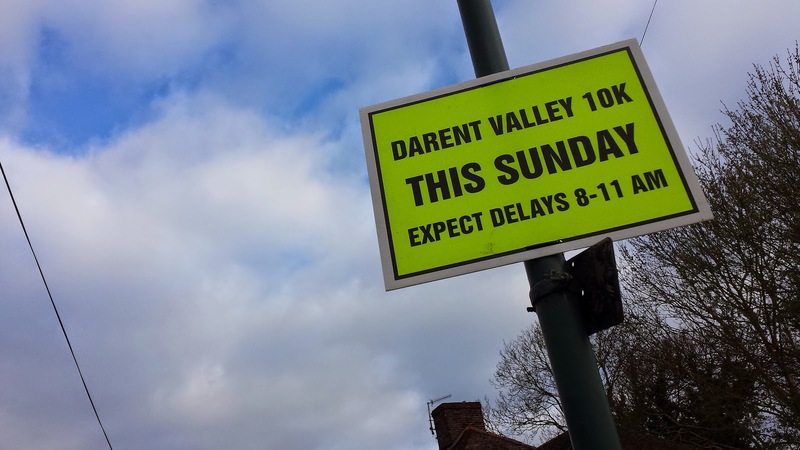 It's probably handy to read that blog post (Darent Valley 10k 2014) before reading this one because this one contains a few references to last year's event. For the record the event is superbly organised and hosted by Swanley and District Athletics Club. A year later and my running had fallen to bits. A lingering knee injury has meant that my training had been almost non-existent for four months leading up to the 2015 event, and up until 48 hours prior to the race I wasn't going to enter. However, it had been set as the first race in the 2015 SLGR Grand Prix. 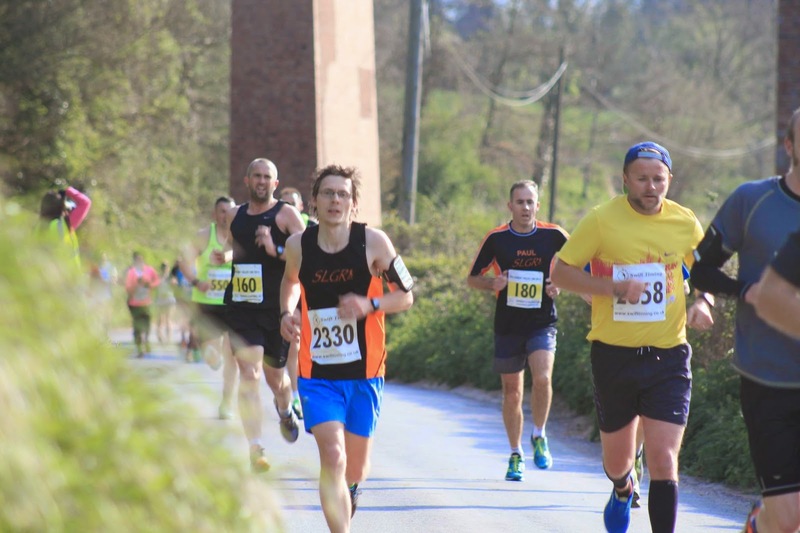 I'm not that fussed about competing against my team-mates but the opportunity to run at a race with such a huge group of them was too much to resist. So I gave in to temptation and entered the race via the runbritain website and paid the £13 affiliated entry fee (£15 for unaffiliated runners). I used runbritain because they do not add a fee to the entry price like some other race entry websites (*cough*runner's world*cough*). 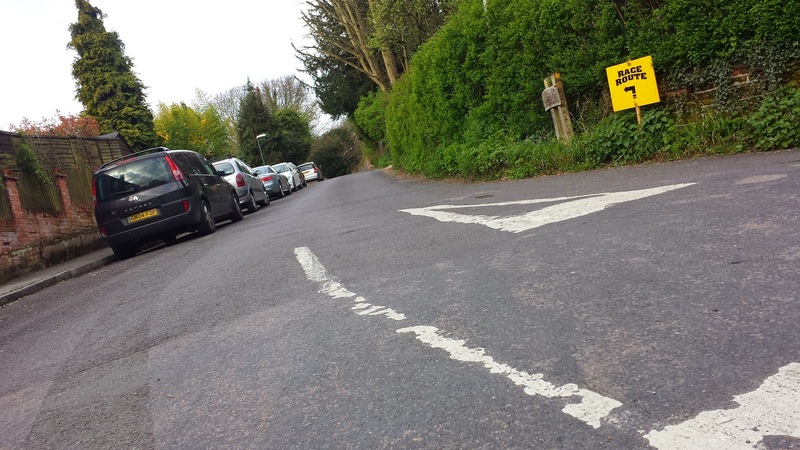 On the day, just like the previous year, I jumped on my bike and headed down to Farningham/Eynsford to the race HQ in the Anthony roper School. I arrived and found the bike racks that I had used previously. If I had driven I could have parked up in the official car park adjacent to the school. Number collection was out in the school playground and involved going to a big board, looking up my name and making a note of my race number, then going to the collection point and quoting my race number. 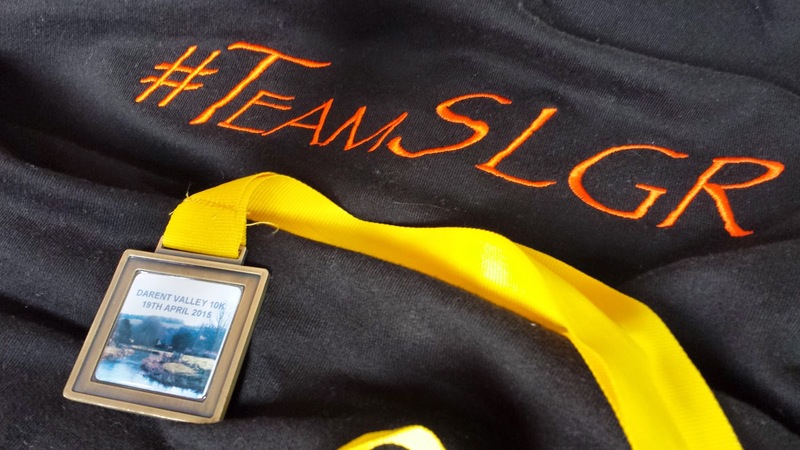 I met up with a small group of SLGR runners who were huddling in a corner of the school hall. There were other groups outside but as it was a chilly, but beautiful, morning I was glad of a bit of warmth - the cycle ride over to the venue had left me with cold knees. There were plenty of portaloos in another part of the school playground and I got in the queue a little bit too close to race start time. By the time my turn had come around there were only 3 minutes left before we'd be heading off. It was a bit of a struggle getting through the crowd of 623 runners (double 2014's number of entrants!) but I managed to reach a spot that was close enough to the front to mean that I wouldn't be held up. After a short briefing we were off. The first thing I noticed was that the main road was much smoother this year (in 2014 it was heavily pot-holed following a very wet winter). I wound my way round the road until reaching the first kilometre point and turning into Farningham High Street. After passing the lovely St Peter and St Paul Church, and then crossing the River Darent the course started to head uphill. 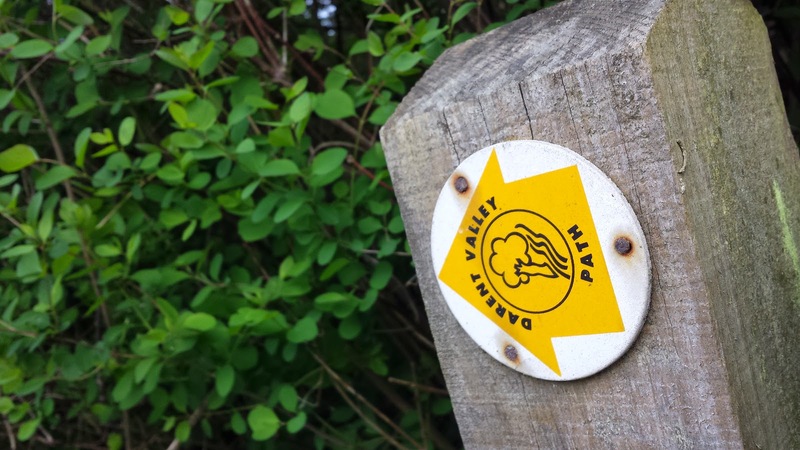 Gently at first, but getting quite a bit steeper after turning left again onto Sparepenny Lane which runs parallel to the Darent Valley path (Dartford parkrun also passes along the same path, but about 10km further north). The 2 kilometre point is shortly reached. Then the 3 kilometre point, which I'm pretty sure is in the wrong place - both times I have run here I have found that I reached the marker in a time that was inconsistent with the pace I had been running. 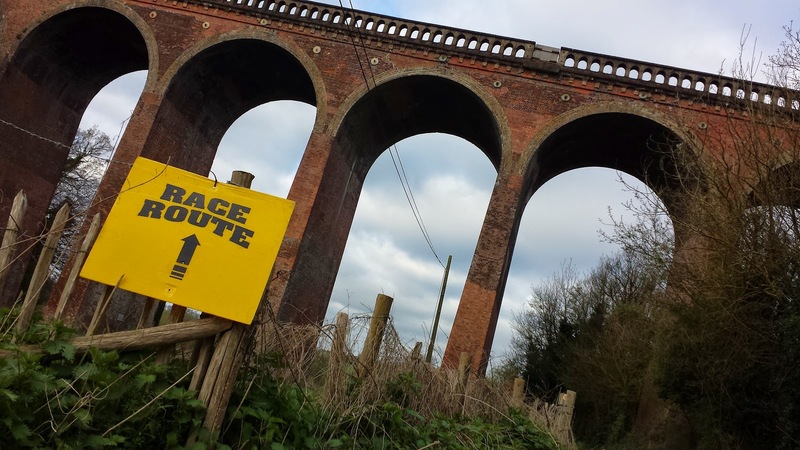 After spending the next few minutes glancing over at the view across the Darent Valley the road came to an end and it was time head down Lullingstone Road towards Lullingstone Castle, but not before passing underneath the Eynsford viaduct, which never fails to impress! The route then went past the road that leads up to Eagle Heights birds of prey centre, which is also home to some big cats and various other animals. One more feature that the route passes here is the Lullingstone Roman Villa, which has a visitor centre built around it. The Villa dates back to around 100AD and features some of the finest excavated remains of a Roman Villa in Britain. I remember visiting it as a child. Actually my parents often used to take me, my sister and brother on days out to Eynsford back in the 1980s (it was a proper day out because we lived in central London). It still looks and feels exactly the same as I remember back then. 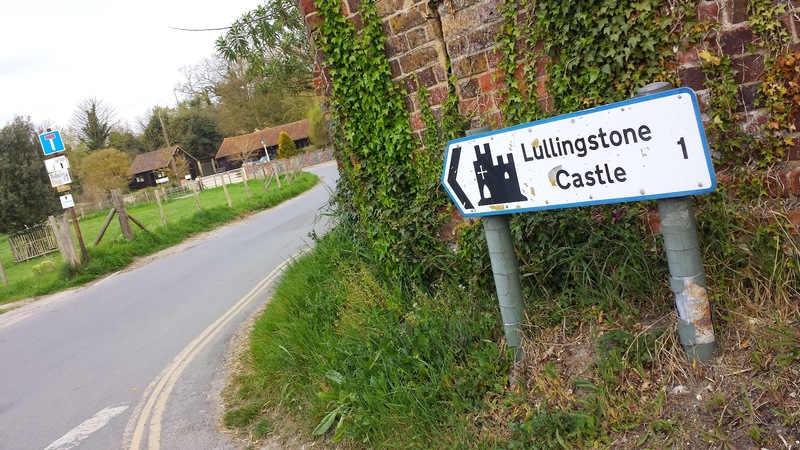 After the Villa the road narrows and starts to undulate as it finally winds its way past Lullingstone Castle and the half-way point. I glanced at my watch at this point and found that I was about a minute off my time from 2014, which was pretty much what I was expecting. It was now time to leave the paved roads and go off-road for a while. If this race was run in the winter you'd probably seriously consider wearing trail shoes to help negotiate this section, but as it was April and the last few weeks had been pretty rain-free, the soil was bone dry so road shoes did the job perfectly. It's a rocky uphill path to begin with and then the path becomes grassy. It passes through a few separate fields (the brand new Lullingstone parkrun uses part of this section) before swinging downhill along a narrow, tree and bush-lined pathway that contains some protruding tree roots. At the bottom there is a sharp right-hand turn and the off-road section is complete. A fairly short, flat road section is followed by a quick detour through Castle Farm and this is where the longest section of climbing starts. The road gets gradually steeper as it reaches the A225 main road. Then as you reach the top, pretty much at walking pace, you turn left hoping for some relief, but the hill continues (albeit at a more comfortable incline) and it seems to go on for ages. The eighth kilometre has been my slowest split on the two ocassions I have run here. But just before the end of this kilometre, the peak of the hill is reached and the remaining two-and-a-bit kilometres are almost exclusively downhill. The course soon weaves its way past Eynsford train station and then into the centre of Eynsford (Kent village of the year 2006). The course passes the St Martin of Tours Church which is opposite an ancient ford and medieval hump-backed bridge. Now inside the final kilometre all that is left is to weave along Eynsford High Street, which is now fairly flat but there is a very small undulation that feels bigger then it is when running on tired legs, and then turn back into the Anthony Roper School and cross the finish line. Post race there was a medal to collect and some drinks, chocolate bars and bananas on offer (in fact, this is one race where I went home with more bananas than I arrived with!) I spent the next hour or so hanging out with the rest of the team as we exchanged stories of our adventures on the course. Quite a large group of us stayed for the prize-giving ceremony where our leading lady won first placed female. After a final team photo (there were a few throughout the morning, but sadly not one of them captured everyone from the club together) it was time to hit the road. 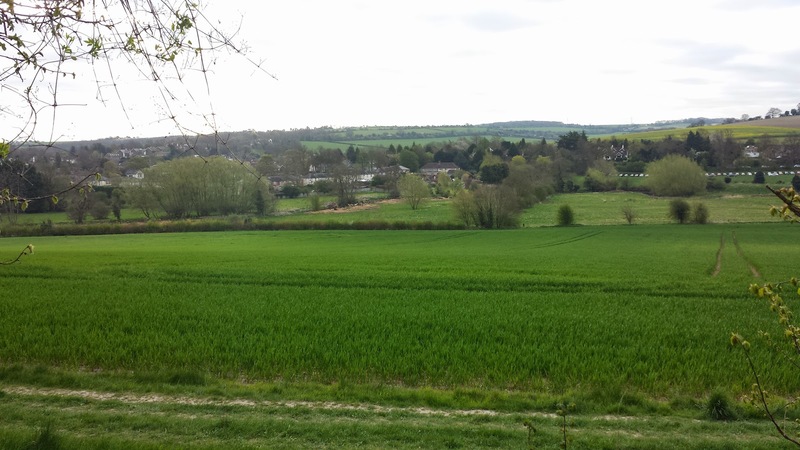 So I said my farewells, changed back into my cycling gear and had a leisurely ride back to Dartford via the country lanes around Horton Kirby and South Darenth, taking exactly the same route as I had done a year earlier. The official results were online a few hours later and I was about 2.5 minutes slower than in 2014 but that's just how it goes sometimes - you can view my GPS data on Strava. We had 48 declared first claim members of SLGR running in the race which was amazing. 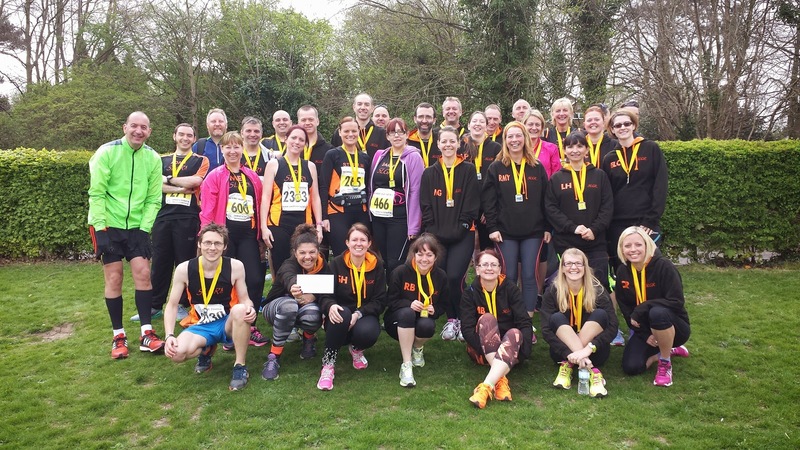 Last year we weren't even an affiliated club and we had about 10 runners running as part of the original 'So Let's Go Running' running group. I'd say that's pretty good progress! Lastly, I'd just like to add a huge thank you to all the volunteers that helped to make the event possible. 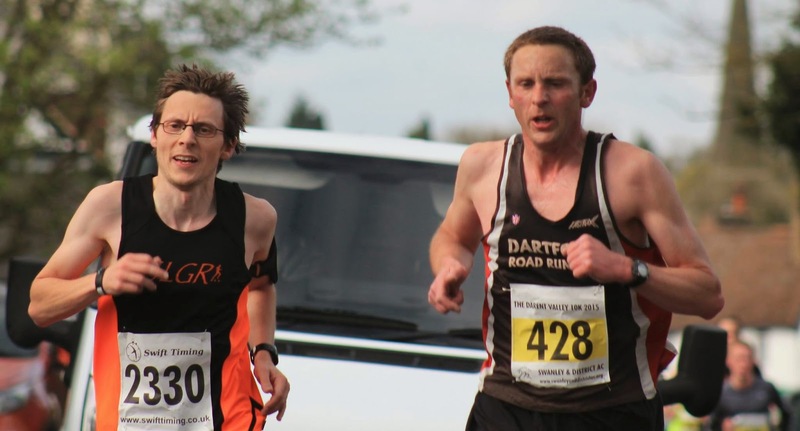 And also to all of my team mates, to all the friendly faces from clubs near and far I had the pleasure of chatting to and to Dartford Road Runners Ian Pullen and Brian Pitkin for the fab photos that I have used above!